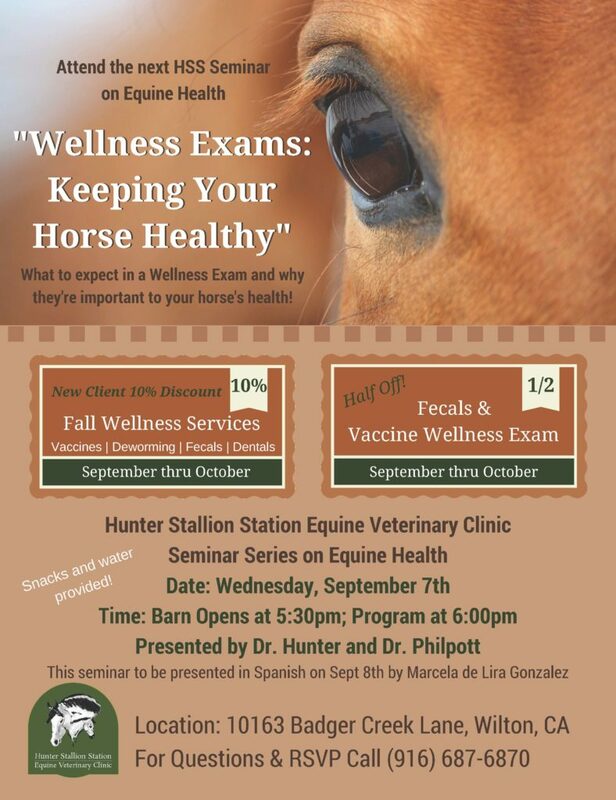 Hunter Stallion Station Equine Veterinary Clinic is hosting a free seminar series on Equine Health. In June, attendees learned why their horse may colic and what to do when it happens. Dr. Hunter and Dr. Philpott will inform horse owners of what to expect in a Wellness Exam and why they’re important to your horse’s health. Stop by after work and gain some knowledge! Barn opens at 5:30pm; program starts at 6pm.